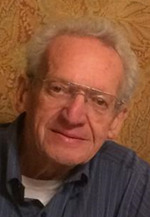 Daniel Z. Gelsey, 92, of West Bloomfield, Michigan, died on 31 March 2019. The family of Daniel Z. Gelsey will be gathering through the evening of Thursday, April 04 at the residence of Andrew and Nanci Gelsey, 5784 Kingsfield, West Bloomfield MI 48322. The phone number is 248-408-4980. The family will be gathering on Tuesday, Wednesday and Thursday from 2:00-5:00 p.m. and from 6:30-8:30 p.m. Religious services will be held at 7:00 p.m. on Tuesday and Wednesday evenings. Beloved husband of the late Myrna Gelsey. Cherished father of Andrew (Nanci) Gelsey and James (Sue) Gelsey. Proud grandfather of Jason, Shira and Dina Gelsey. Loving brother of the late Helen (the late Larry) Zirinsky. Dear brother-in-law of Lewis (Jerry Pinciss) Falb. Loving uncle of John (Olga) Zirinsky, William (Ruth Schekter) Zirinksy, the late Jane Zirinsky and the late Nancy Zirinsky. Mr. Gelsey was a real estate broker in both Florida and New York. He served in WW2 as a radio operator on liberty ships in the Merchant Marines and was stationed at Fort Bragg, in the Army Finance Corp.